The German Shepherd Dog should be self-assured, balanced, with strong nerves and absolutely impartial behavior, while maintaining a good nature. He should be courageous and possess firm nerves. 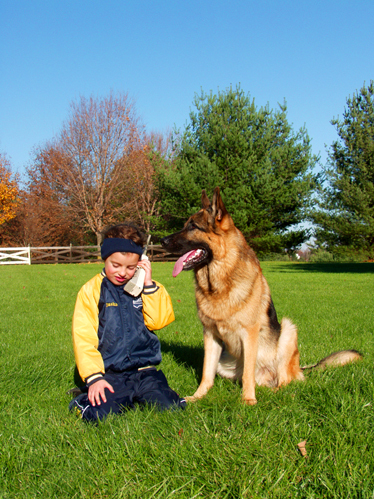 The German Shepherd Dog must be medium sized, slightly stretched, strong, dry, well muscled, and compact. The height at the withers should be 60-65 cms. for the males and 55-60 cms. for the females.